ProGlobal 2015 – Symposium’s expatriate management and global mobility forum, provides a unique opportunity for senior in-house HR and global mobility professionals to discuss the challenges, solutions and trends influencing the success of their international assignments. The event will cover all aspects of assignment management from setting policies and overcoming challenges in emerging markets all the way through to repatriation and retention. Through a series of presentation and networking session the conference will provide you with the latest strategic thinking and practical examples to develop your knowledge. This event has been specially designed to assist in-house HR professionals responsible for the management and administration of expatriate’s and international employees. 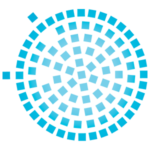 AIRINC has been the leading authority on international mobility data since 1954. 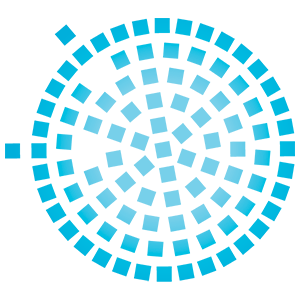 With a unique on-site data collection model, rigorous data analytics, and experienced consultants, AIRINC is the data provider best equipped to solve cross-border compensation issues. As the market evolves, AIRINC seeks innovative ways to address workforce globalization challenges such as mobility program assessment metrics, cross-border talent mobility strategy, and measurement of reward competitiveness across a borderless pay landscape. www.air-inc.com K2 are independent, global mobility experts. We provide one accountable point of contact for HR teams and assignees, throughout international relocations. We manage and broker services through our global partner network, ensuring absolute confidence in service delivery and value. We strive to be a true business partner- an extension of your HR function. Our clients cross industries- ranging from Fortune 500 leaders in the financial services industry and ‘Magic circle’ law firms, to FTSE 100 beverage companies. When an organisation makes the important decision to move an employee outside their home region they trust us to help. Why? Because we get it right every time. If you want extraordinary, trust us – we do extraordinary, every day. ECA International’s products and services inform and support managers handling compensation and benefits for staff moving internationally. Recognised since 1971 as a world authority, ECA remains a leader in the provision of knowledge, information and technology for international companies of all sizes. Offering companies worldwide an unrivalled portfolio of data, software, tools, guides, reports and advice, ECA’s expertise enables them to help them structure and deliver successful mobility programmes. www.eca-international.com SIRVA is a leading partner for corporations to outsource their mobility needs, relocating and moving their executives and staff globally. SIRVA offers an extensive portfolio of mobility services across approximately 170 countries providing an end-to-end solution to deliver an enhanced mobility experience and program control and security for customers. Mercer offers a full spectrum of global mobility services and products across six continents. With offices in 42 countries and territories and more than 25,000 clients worldwide, we are leading expatriate management experts with a truly global footprint. Mercer can help you make well informed, strategic decisions on how to optimise your human capital, and are the only consulting firm offering clients cross-functional talent mobility expertise in fields ranging from HR strategy/talent management, total reward, leadership development and workforce planning/metrics to mobility programme and policy design, expatriate compensation and health/retirement benefits. We are an independent, UK based global mobility services company providing relocation and move management support to worldwide organisations, their assignees, families and partners relocating across the globe. In addition to holding ISO9001, ISO14001 and FIDI FAIMplus accreditations, we are proud to be members of many internationally respected industry associations including EuRA, Worldwide ERC, IAM and BAR Overseas. We are committed to delivering the highest standards of service to provide mobility solutions tailored to the specific requirements of each of our clients. BTR International: “Together, we’ll go further”. Established over 40 years ago, ACS International Schools serves the educational needs of international and local families at its four schools: ACS Cobham, ACS Egham and ACS Hillingdon in the London area, and ACS Doha in Qatar. All ACS schools are non-sectarian and co-educational (with boarding available at ACS Cobham). We accept students aged 2 to 18, and offer both American and international curricula, including the International Baccalaureate (IB). All schools have state of the art facilities and a strong programme of co-curricular activities that support the schools’ strong student-centred philosophy. Thinking Relocation? Think Santa Fe Relocation Services. 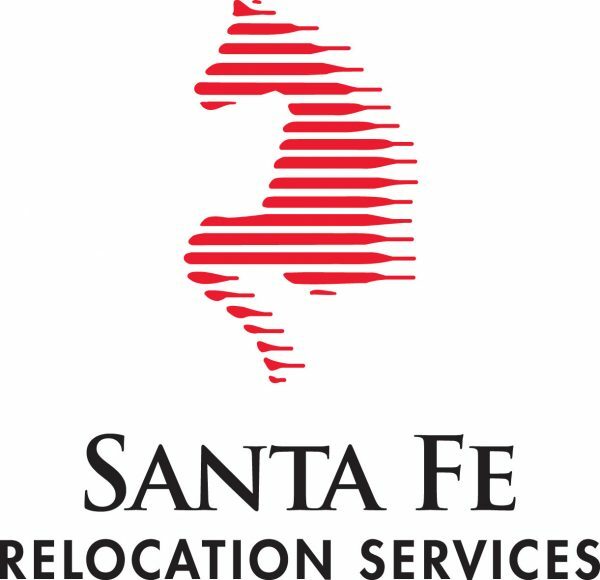 Santa Fe Relocation Services provides the full range of relocation services to support businesses with international interests from diverse industry sectors. Santa Fe is conveniently located across six continents and offers holistic relocation solutions to support businesses and relocating employees. Last year, we handled 120,000 relocations globally. Our core services are Immigration, Moving, Relocation, Real Estate and Records Management. We make it easy.At Relocation Support Services we have been providing bespoke, tailored solutions to our clients and their assignees for almost twenty years – setting the standard in quality, flexibility and efficiency. The success achieved throughout this time, culminating in achieving the EuRA Quality Seal earlier this year, has been built on the shared values the company adheres to – integrity, honesty, collaboration, innovation and dedication. Based in Maidenhead, Berkshire RSS assist over 700 relocating assignees and their families per year. Through a carefully selected network of service providers, we successfully manage international relocations to and from any location in the world. Plan ahead and catch the 30% discount! Book before the 22 May and save 30% off the £399 conference price. Use your exclusive code HR18030 when requested in the shopping cart. As the world changes previously safe locations are become more and more challenging. What are the implications for organisation and assignees? Facilitated networking session to discuss your challenges with your peers. Panel discussion: Short term mobility; Are you ready? How does the economic policy impact immigration? Liaising with governmental agencies to influence policy and to ensure that business interests are considered alongside public concerns. Mobility, demographic changes and the shifting pensions landscape are creating interconnected risks for employers. Can an outcomes orientated approach to retirement savings help address these challenges? 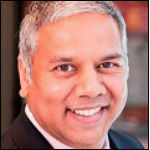 David Remedios has been Head of Consultancy at ECA International since 2007. Having worked in the field of international assignment management for over 20 years he has extensive experience of working with major multinational organisations developing, implementing and evaluating global mobility policies and procedures in and out of developed and emerging markets. David also gained three years’ consultancy experience with some of Europe’s leading companies in his role as Expatriate Compensation and Benefits Manager at PricewaterhouseCoopers. As well as reviewing and developing international compensation and benefits strategies for client companies, David also advises on the administration and delivery of international pay, and helps HR to initiate process improvements and prepare international assignment cost estimate analysis. Sharon currently works as Global Mobility and Reward Manager for Whitbread Group Plc. She has worked within Whitbread for thirteen years in a variety of HR roles and brands, including David Lloyd Leisure, specialising in Reward and Employment Policy. 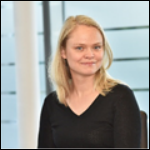 Her current role involves aligning Global Mobility policies to the needs of the Whitbread brands, in particular Premier Inn and Costa, supporting the timely resourcing of their new and existing International markets. Sharon has a background in various industries including manufacturing, social housing and the Civil Service. She started her HR career in Training and Development, moving into generalist roles and now Global Mobility and International Executive compensation. Sharon qualified as MSc in HRM in 2001 and is MCIPD. She is married with a daughter at University. Michael is Director, Client Solutions EMEA in AIRINC’s London office. Michael consults on all areas of global mobility, providing solutions to clients regarding strategic program design, policy and data across all industries. Prior to joining AIRINC, Michael spent six years in expatriate consultancy environments and ten years in various compensation and benefit related corporate roles. He has extensive experience designing and developing international assignment policies and process for multinational companies. He also lead a number of human capital projects in Europe, Middle East and Africa, relating to such areas as performance management and compensation design. In addition he spent time managing a global compensation data survey for the Life Sciences Industry. Michael Grover is a consultant in Mercer’s Talent business with 7 years’ experience in global mobility operations and consultancy. Based in London, Michael joined Mercer from EY, where he supported and advised on clients’ mobility programmes across a range of industry sectors and markets. Michael’s experience includes assignment programme design and policy benchmarking, expatriate compensation modelling, stakeholder surveys and delivery of GM training. Michael also has in-house experience working in the mobility teams at Electrolux and Lloyds Banking Group. Michael plays an active role in the firm’s diversity agenda. He is a member of the Diversity and Inclusion (D&I) Advisory Group which guides Mercer’s UK Market leadership team on D&I matters and is also the Co-Chair of the UK chapter of Mercer’s lesbian, gay, bisexual, transgender and allies (LGBTA) business resource group. Michael holds a Bachelor’s degree in Politics and Spanish from Cardiff University. 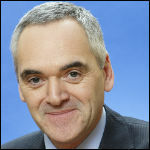 He has lived and worked in the UK, Austria, Germany, Sweden and Spain. In addition, Michael speaks Spanish, French and German and is currently learning Portuguese. Taryn has 18 years experience spanning all aspects of global mobility, gained in-house managing global assignment programs and delivering independent consulting projects with a focus on cost effective and business driven solutions. Areas of expertise include international assignment policy and process, new office build-outs, mobility technology solutions, vendor management, governance/ risk review, and many other complex issues involved in running a successful global mobility program. Taryn frequently presents at mobility events, founded an Africa FMCG global mobility round table group and sits on judging panels for industry awards. Taryn has worked for top tier organisations including Arthur Andersen, Goldman Sachs, Diageo & 02 Telefonica. 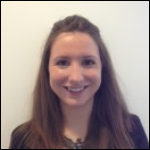 Anne-Marie is a CTA qualified expatriate Tax Partner based in our London office. She advises large and small businesses on all international mobility issues for employees on assignment around the globe. 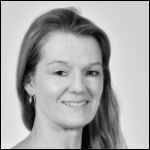 Anne-Marie has over 20 years’ experience in expatriate tax, primarily with the Big 4. Her clients have included a range of international conglomerates and clients spanning a variety of industries, such as professional services, oil and gas, telecommunications and pharmaceuticals. Having been an expatriate herself, she understands how important it is to get good advice quickly to people assigned abroad. By shouldering the burden of the expatriate tax affairs of individuals and businesses, she enables them to focus their energies on their core business activities instead of worrying about tax. 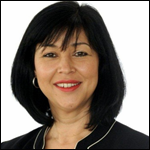 Julie is the Managing Director of Emigra Worldwide for Europe based in London. She is responsible for Emigra’s European strategic operations including client service delivery, people management and business development. Julie has over 30 years’ experience of all aspects of International Assignment Management including 18 years in expatriate tax (UK, US, Hong Kong and Singapore) and 16 years in global mobility. Her experience includes client service management, vendor management, tax, mobility and immigration policy development, risk management and people development. In addition Julie has worked internationally in Hong Kong and Singapore and has held senior roles in Consulting and Industry. 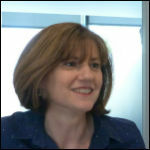 Tracy Figliola is the Global Mobility Director for Equinix, an industry leading company for data centres, colocation and cloud connectivity. Tracy has global responsibility for the strategy, policy and operational framework for all cross border movements and the governance for cross border compliance within the Equinix Group. Tracy’s remit is to design and build a new Global Mobility program for the Equinix Group. 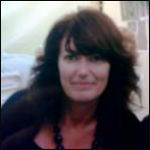 Tracy has 13 years’ experience in Reward and Global Mobility. Prior to joining Equinix, Tracy was Head of Global Mobility for the HSBC Group . At HSBC Tracy managed the application of policy and the delivery of Global Mobility globally across 86 countries and for an assignment population of 2000, covering process design and management, technology, vendor management, compliance, international compensation and stakeholder management. Tracy has initiated, lead and managed Global Mobility Transformation projects and managed a global team of 70 Global Mobility Managers responsible for delivering the end to end proposition. Wendy moved to InterContinental Hotels Group from one of the Big 4 accountancy firms in 2009 to take up the newly created role of Director International Mobility. Since then Wendy has built up and developed an International Mobility team, introducing global policies, processes and vendor management. Recognizing the challenges the business and colleagues face with a mobile workforce, the role and skill set of the International Mobility team has, and continues to, change to ensure the correct support and guidance is provided. Moving away from an administrative and transactional function to partnering and consulting with the business – aligning mobility with business structure and strategy. 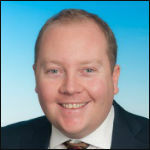 Stewart is the UK’s distribution manager for Zurich’s International Corporate Savings Plans. He has been with Zurich for over 15 years with various responsibilities including national account management and government and public affairs. Stewart has been in the world of employee benefits for over 30 years, having previously been a consultant with a leading employee benefit firm. He is a member of the International Employee Benefits Association and is a regular contributor to industry publications on international pensions and global mobility. 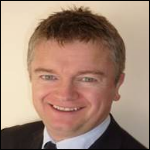 Jurga McCluskey has amassed a wealth of experience within UK and global Immigration matters. Having practised Immigration and Nationality Law for over 10 years. Jurga, is a sought after immigration practitioner and currently serves as Partner, Head of UK Immigration at Deloitte LLP. Jurga’s leadership comprises of working with Deloitte’s global network which has in excess of 700 offices on all immigration related matters. Jurga has also been at the forefront of crisis management situations where she has successfully co-ordinated evacuation projects in three different locations. Jurga’s aforementioned experience and her contribution to UK Immigration has meant that she is in a position of influence and regularly advises the UK Visas & Immigration on policy related matters. Jurga is truly deserving of her accolades within ‘Who’s Who Legal’ as a top UK Immigration lawyer. She has also been recognised as a “power woman” within ‘CityWealth’ and has also received recognition within ‘The Legal 500’. Jurga is regularly contacted to provide quotes to the Financial Times and other publications. Catherine’s career has ranged from HR Shared Services, HR Business Partner, Talent and now Global Mobility. Global Mobility within British American Tobacco is an exciting spectrum to work within, operating within 180 countries, over 80 of which are in the EEMEA Region, with around 960 global assignees. Global Mobility is an ever evolving space with new markets for the tobacco industry, creating constantly challenging Centre of Excellence to work within. Global Mobility is entering a new generation of assignees driving the discussion for a diverse and flexible platform, along with a cost efficient approach, in supporting the business mobilising talent. Julia Clement is currently Sr Director, Global Reward and Mobility at King Digital Entertainment whose hits include Candy Crush Saga, Farm Heroes Saga, Papa Pear Saga, Pet Rescue Saga and Bubble Witch Saga. She leads the team responsible for all aspects of compensation, benefits and mobility for King globally where she has been instrumental in designing and delivering reward infrastructure to support growth and the public flotation of King in 2014. Julia has over 15 years of experience in compensation, benefits and mobility. 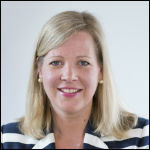 Prior to King, Julia held a number of roles at Expedia both in EMEA and in their Seattle, USA based headquarters including responsibility for Global Compensation and Mobility. Under her leadership, she established a global mobility centre of excellence responsible for strategy, policy design and operations, establishing the infrastructure to support significant growth in international transfers and assignments. Prior to Expedia, Julia worked at Vodafone, a Vodafone joint venture and Mercer HR Consulting. You can purchase the event documentation, including the presentations, in a pdf format. Please use the link here. NB delegates receive a copy free.